DEXTER, MO. – Missouri FFA students will soon be in the field with farmers to learn how cutting-edge science on the farm could help the Gulf of Mexico. The program involves testing corn stalks for nitrogen, allowing farmers to maintain maximum crop production while reducing the fertilizer pollution that travels the Mississippi River. That fertilizer contributes to the Gulf’s "dead zone," an area of low-oxygen water at the river’s mouth. David Dunn, manager of the soil testing lab at The University of Missouri Delta Center, says the program will help protect one of the nation’s most-important fisheries, while teaching students an important lesson about the environment. "I think most of our producers realize we’re all in this together; that the people in the Gulf need to make a living just like they need to make a living here. This nitrate testing program is a real win-win. " "It won’t allow them to change what they did this year, but they can take the information they’ve developed this year and make a better decision next year." 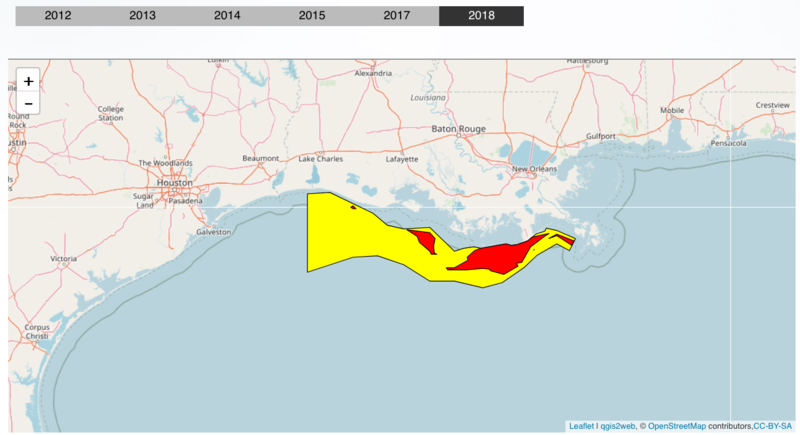 Dead zones are found in many places around the world, but the Gulf’s is one of the largest, covering up to 7,000 square miles.